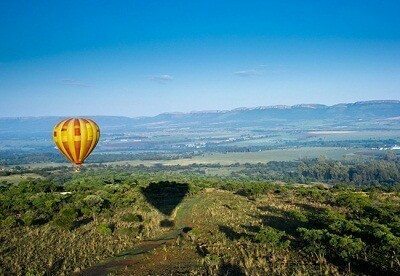 Have you ever been up in a “Hot-Air Balloon”? Looking for a romantic present to say those magic words? 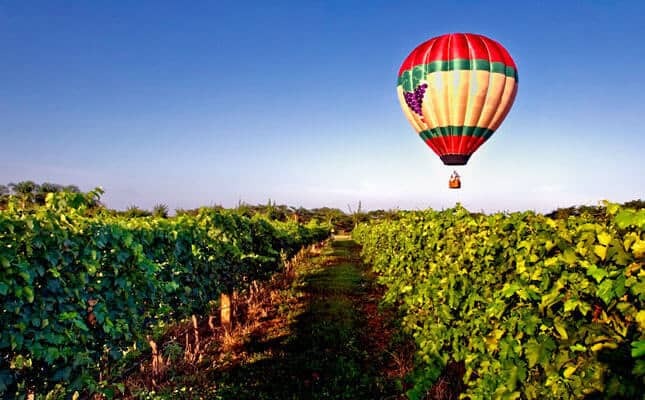 Come and join us floating over the vineyards of Paarl not far from Cape Town in sunny South-Africa. Why not spending your holidays in Paarl, one of the oldest towns in the Winelands of the Western Cape? 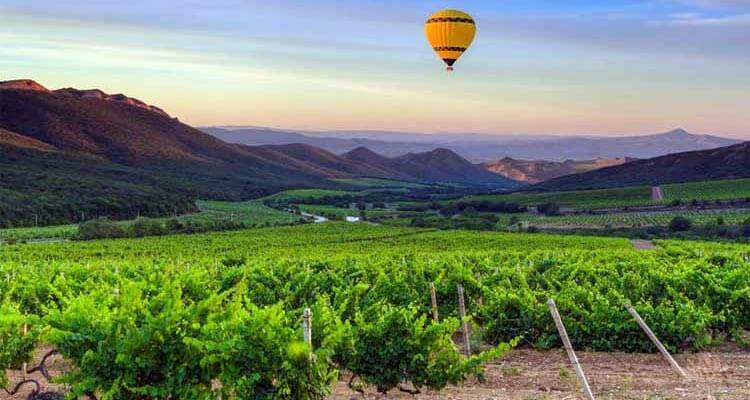 The “Pearl of the Boland-Region” offers world-class wine cellars, lovely mountains and great hospitality. We would love to welcome you at the bottom end of Africa, the most beautiful Cape of Good Hope. 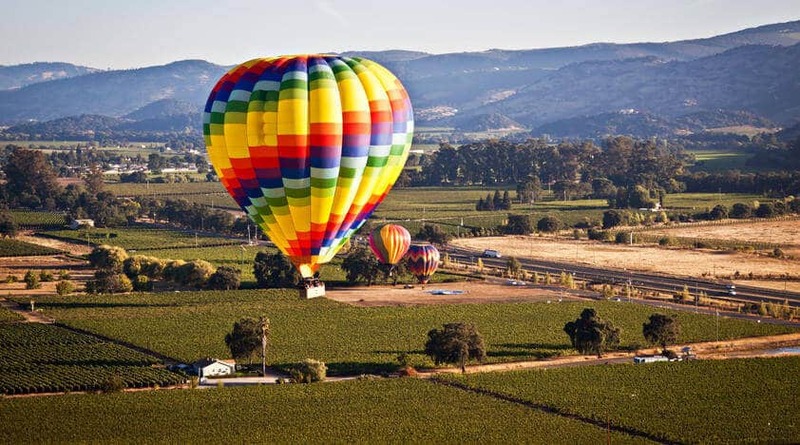 Hot air ballooning is strictly an early morning activity as very stable weather is a requirement for safe flying, and because of this, this specific hot air balloon operation does have a higher potential for cancelling flights the day before due to weather. 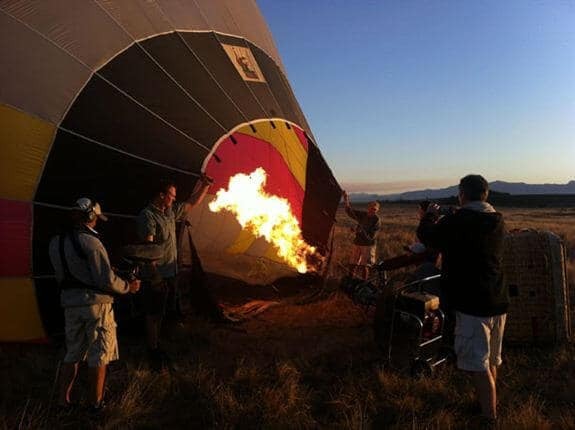 We therefore advise that if it is your intention to enjoy hot air ballooning in the Cape Town or winelands areas (above other parts of South Africa), then try allow for 2 days during which your flight could take place. Your day will start with a very early morning phone call from the hot air balloon pilot to confirm wether or not the weather conditions are suitable. If you get a green light you then drive out to the Grande Roche Hotel in Paarl (about 45 minutes from Cape Town), where you are met and transferred to the launch site. (We can arrange return road transfer form your hotel should you prefer this). On arrival tea & coffee is served while you watch (or assist!) in the rigging of the hot air balloon. After about half an hour or so you climb into the basket for a safety briefing from the pilot, and then it’s up and away! 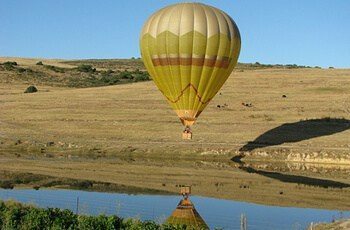 The flight lasts for approximately an hour, and you will float high above land below, and also drift just above the tree tops … the scenery is striking and varies from vineyards, to fields, mountains, dams and homesteads. The gentle breeze is the ultimate decider on which direction you take as the pilot only really can control the upward and downward movement of the balloon. 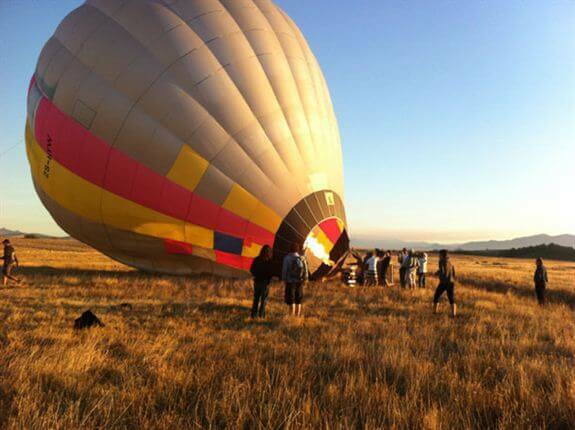 Upon landing the ground crew will come to your assistance to meet & and oversee the packing of the balloon. 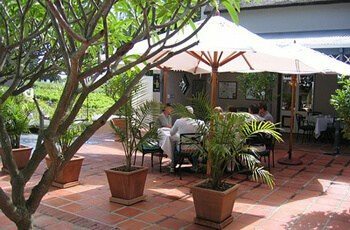 After an exciting hour in the air you are then transferred by road to Paarl where a full hot breakfast awaits at the Grande Roche Hotel. After breakfast you are free to drive back to your hotel, or in the case of a transfer, we will transfer you back to your hotel.